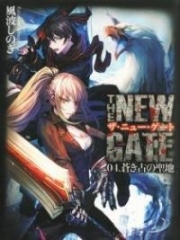 You’re reading novel Chaotic Sword God Chapter 569: The End of Vengeance online at LightNovelFree.com. Please use the follow button to get notification about the latest chapter next time when you visit LightNovelFree.com. Use F11 button to read novel in full-screen(PC only). Drop by anytime you want to read free – fast – latest novel. It’s great if you could leave a comment, share your opinion about the new chapters, new novel with others on the internet. We’ll do our best to bring you the finest, latest novel everyday. Enjoy! “Hmph, the only regret I have is that my strength was not enough. Otherwise, the one kneeling on the ground today would have been you and not us.” One of them spat. They had all thrown caution to wind. There was no need to fear Jian Chen any longer since they were all dead men walking. Jian Chen nodded his head, “Yes, there is nothing wrong with what you say. If I were weaker than you three, then the one kneeling here would perhaps be me. In this world, it goes without saying that power is equal to might.” With that, Jian Chen turned back to look at Tie Ta. He was stone-faced as stood before the b.l.o.o.d.y streets filled with corpses. Tie Ta was no stranger to blood and gore, but that was only when magical beasts were involved. Streets filled with the corpses of humans was a first for him however. As such, it had been a situation his heart found hard to stomach. Jian Chen sighed. With Tie Ta’s straightforward att.i.tude, it would take a decent amount of time for him to adjust to the Tian Yuan Continent and how it worked. Finally, Jian Chen turned back to look at the three clan heads, “From today on, Fengyang City will no longer have your three clans. To alleviate you of your pains, I will send you off.” There were many clans within Fengyang City. The power of their clans would quickly transfer with the deaths of the three Earth Saint Masters. Gently lifting his right hand, Jian Chen shot forth three bright rays of azure and violet Sword Qi from his finger. The three rays of Sword Qi quickly embedded themselves into the heads of each person and extinguished their spirits. Even a Heaven Saint Master wouldn’t be able to survive such a stroke. The bodies of the three clan heads collapsed to the ground as if their strings had been cut. In a few seconds, the four Earth Saint Masters of Fangyang City had been reduced to a single one. Only the lord of the city was left alive. From his position far away from the situation, the lord of Fengyang grieved as he watched the three Earth Saint Masters killed. Now that they had died, the might of Fengyang City had decreased by a substantial amount. Everything that had happened was something he would have to accept. He didn’t have the power to change it after all. He had not spoken a single word. Even though three major power holders had been killed, he didn’t dare mention a word about it. Jian Chen and the group of people with him had already displayed a tremendous amount of power that would meet no resistance from the lord of Fengyang City. Thus, he remained silent without even thinking about making a move. The fact that Jian Chen had killed three Earth Saint Masters with a lift of his finger was an extremely jaw-dropping experience to those who witnessed it. It was so utterly inconceivable and mind-boggling that they couldn’t help but look at Jian Chen in a radically different light. Originally, they had all thought that Jian Chen would be as strong as he was two years ago, and that there wouldn’t be any major changes since then. Even if he was a talented genius, becoming a Great Saint Master would be an outstanding feat, but becoming an Earth Saint Master was just impossible since Jian Chen looked far too young. Suddenly, everyone in the audience realized the reason why Jian Chen had been so calm in front of the Harido clan and the three major clan heads. It was not because he could rely on the Earth Saint Masters, Ming Dong and Dugu Feng. The real reason was his own strength was so terrifyingly strong that there wasn’t a need for him to make a move himself. The visitors that had come from some of the First Cla.s.s Cities regarded him with serious eyes, but everyone else felt sweat on their foreheads. Their hearts were wildly pounding. When they had learned that he possessed a battle skill, they had been filled with greed and couldn’t help but decide to stick their hands into the pot. With a convenient excuse and with the Harido and the three major clans providing support, they had felt more than ready at first. Now that they were fully aware Jian Chen’s strength Jian Chen, everyone could only feel a deep amount of sorrow and regret. Some felt overjoyed that they did not speak out at first; otherwise, they would be yet another casualty lying on the ground. Looking around, Jian Chen’s eyes hovered on the group from the Flowing Cloud Sword Pavilion for a moment before turning away. The group had been extremely nervous when their eyes met. They had felt true fear in that moment, worried that Jian Chen would start trouble with them next. If he could kill an Earth Saint Master without a problem, then the Flowing Cloud Sword Pavilion would have no chance of defending themselves. Not even a cricket made a sound from the crowd. Eventually, a white-robed elder with equally white hair came walking forward with clasped hands. “Esteemed hero, I am the headmaster of the Flowing Cloud Sword Pavilion. I represent the Flowing Cloud Sword Pavilion when I offer my utmost apologies for what happened two years ago. I hope someone as great as you are will forgive and forget the offenses from such a lowly power. My Flowing Cloud Sword Pavilion may be a third-rate power, but should there be anything we can do, then by all means instruct us as you see fit. I swear that the Flowing Cloud Sword Pavilion will do as you say faithfully.” The headmaster spoke in a very honest and humble manner as he offered his apologies to Jian Chen. He was more than aware that this was the only way of guaranteeing the survival of the Flowing Cloud Sword Pavilion. The ones that had chased Jian Chen around the city two years ago had been killed by Ming Dong and Dugu Feng. The three major clans, the Youlan clan, and the Mutian family were as good as gone. From the crowd, the Flowing Cloud Sword Pavilion was the only remaining power left. As if granted a tremendous pardon, the group from the Flowing Cloud Sword Pavilion’s faces brightly lit up. “Many thanks for your favor. My Flowing Cloud Sword Pavilion cannot thank you enough for choosing to spare us. Whatever you need, it would be our honor to do it for you.” The headmaster gracefully responded. Having seen the gigantic power Jian Chen wielded, the headmaster had nearly sweared allegiance to him. Jian Chen could tell what the headmaster was feeling from his voice, but he said nothing about it. The Flowing Cloud Sword Pavilion was an inferior power within the kingdom without a single Earth Saint Master to their name. A power like that was did not even need to be looked at. “Dugu Feng, go and bring back the money obtained from selling the two Cla.s.s 5 Monster Cores.” Jian Chen commanded Dugu Feng. Dugu Feng gave a nod of his head before walking into the auction house without a sound. Ming Dong took the s.p.a.ce Rings the five Earth Saint Masters wore. In total, he had obtained three s.p.a.ce Rings and two s.p.a.ce Belts. Jian Chen couldn’t help but force a smile when he heard what Ming Dong said. A Sixth Cycle Earth Saint Master lacking money was certainly a very strange occurrence. Not too long later, Dugu Feng came back out with the profits he had earned from selling the two Cla.s.s 5 Monster Cores. Then along with Jian Chen, he and the others left the scarred up area. Yullian could be seen standing on a balcony in the auction hall where she could clearly look over the situation. When the surrounding audience saw Jian Chen’s group starting to walk away, the ones that were in his immediate path had quickly moved to get out of his way. When Jian Chen’s shadow finally disappeared from sight, noise returned to the area in the form of a huge clamor. Three of the strongest four people of Fengyang City had been killed. That alone was a heaven-shaking source of information. “I didn’t think that the brothers in the eighth booth would be that strong. I made a mistake in judgement it seems.” The captain of the Spirithawk Mercenaries sighed. No one could have possibly imagined that the youths that he had been chatting with earlier would be so strong; it was unbelievable to the utmost degree. Not too long after Jian Chen’s group returned to their inns to rest, news about the heads of the three major clans in the city made its way around. Such a tremendous piece of information lead to an equally large reaction, leaving everyone who heard it stunned in disbelief. You're reading novel Chaotic Sword God Chapter 569: The End of Vengeance online at LightNovelFree.com. You can use the follow function to bookmark your favorite novel ( Only for registered users ). If you find any errors ( broken links, can't load photos, etc.. ), Please let us know so we can fix it as soon as possible. And when you start a conversation or debate about a certain topic with other people, please do not offend them just because you don't like their opinions. You're reading Chaotic Sword God Chapter 569: The End of Vengeance. This novel has been translated by Updating. Author: Xin Xing Xiao Yao already has 11223 views. Current Time is Apr-18-2019 19:03:52 PM.